Miguel’s Jr. 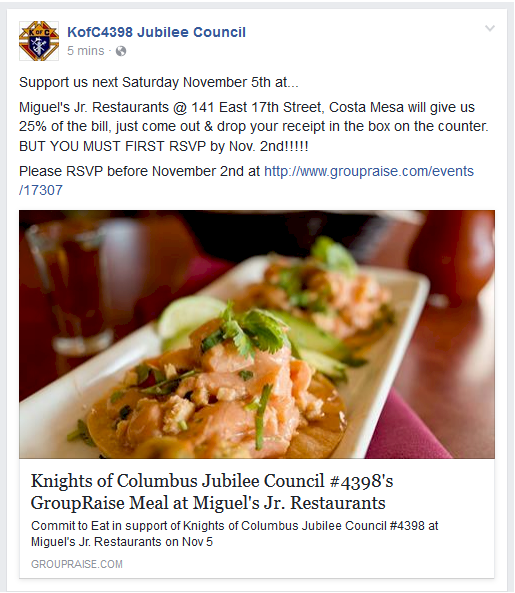 Restaurants @ 141 East 17th Street, Costa Mesa will give us 25% of the bill, just come out & drop your receipt in the box on the counter. BUT YOU MUST FIRST RSVP by Nov. 2nd!!!! !